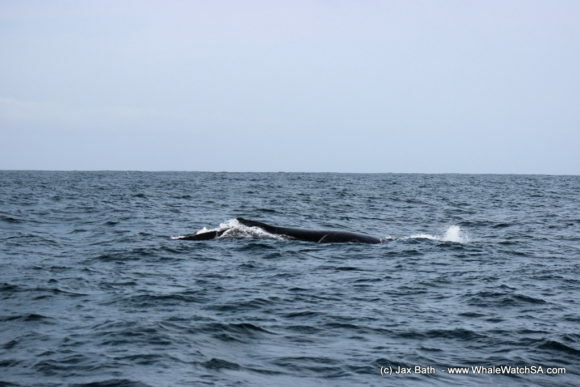 The wind picked up a little this morning, which made today’s tours a slightly more adventurous ride as we travelled our bay in search of some of the largest mammals in the world. 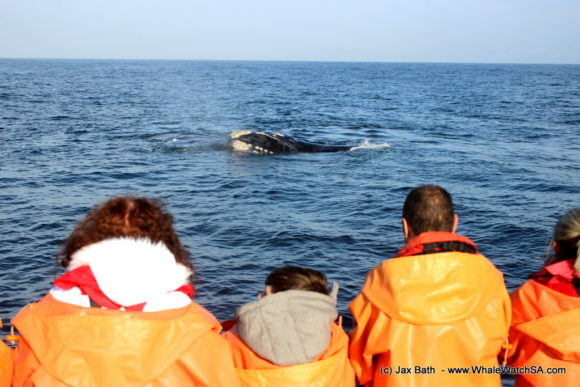 We had two trips today, spotting Southern Right Whales on both tours as well as a couple of Humpback Whales on our first tour of the day. 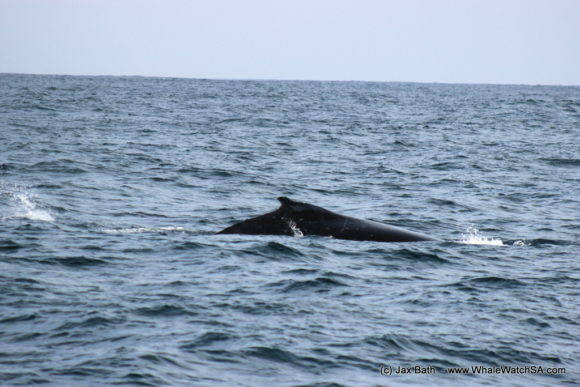 We began our first tour with a move towards Danger Point, where we hoped to find a migrating whale or two. 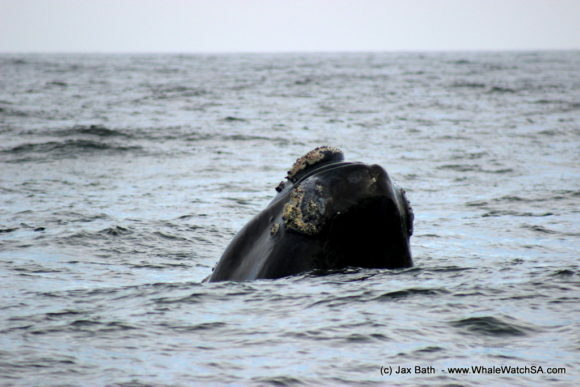 We came across our first whale just in front od Danger Point, and spent a bit of time with this Southern Right Whale. 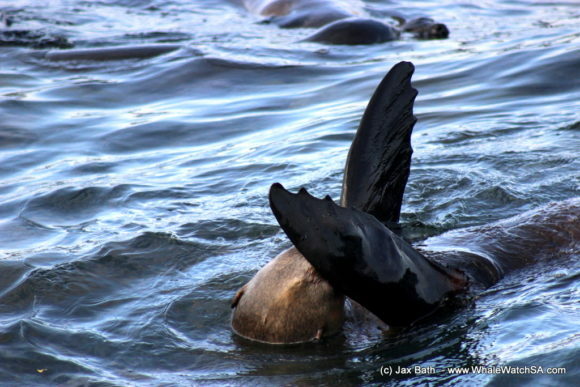 After getting a few views of this animal, we head on off a little deeper into the ocean, slowly moving towards our seal colony. 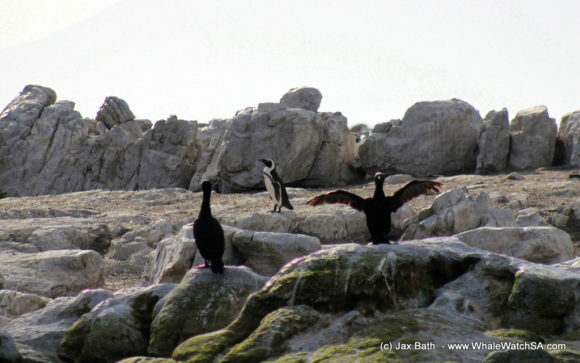 Here at Geyser Rock, we had a great time watching this curious creatures as the lazed around on the rocks, with a few brave swimmers hanging about the front of the island. 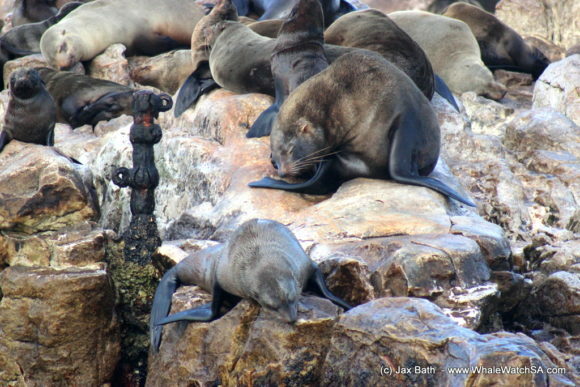 Cape Fur Seals are one of several fur seal species in the world, but, they are the only ones regularly seen off of our coast, with most members of this species in South Africa choosing to live in large congregations on islands along the cold coast. 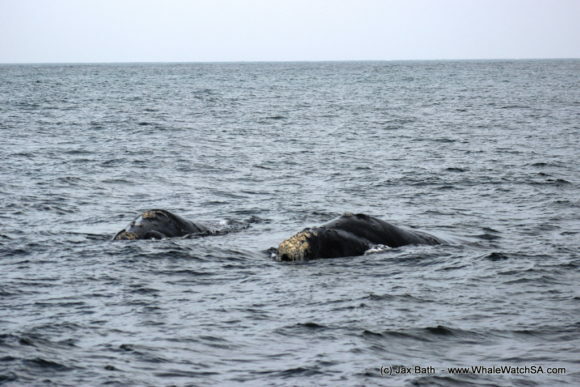 We then decided that we would have a look out for some more whales, and happened upon a couple of individuals from the Humpback variety. 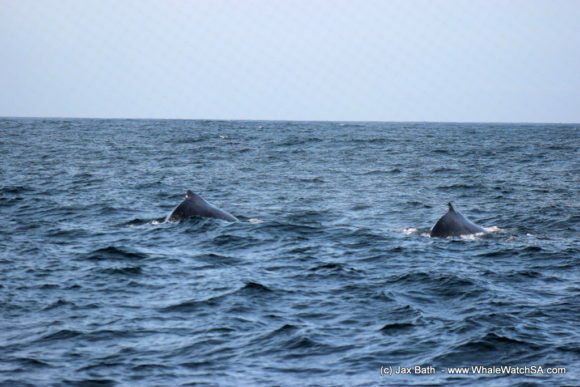 These long distance voyagers were travelling in the direction of the island, and we were able to cruise along with them. 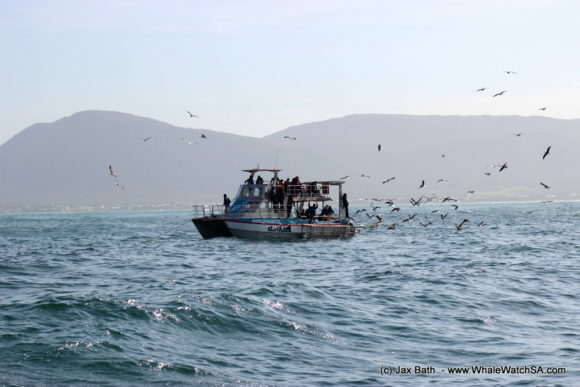 Once we had watched them take a deep dive, our last stop of the day was at Slashfin, our cage diving vessel where we had a sighting of a Great White Shark. 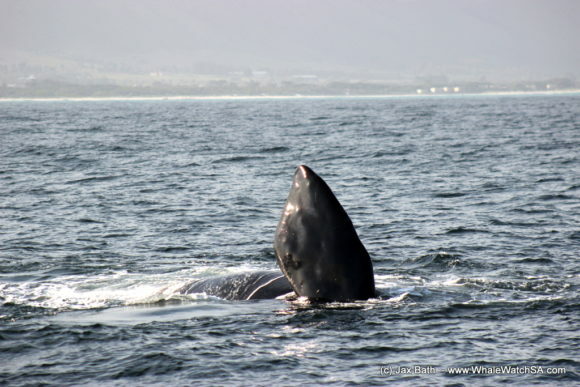 The wind dropped in time for our second tour of the day and we found our first Southern Right Whale of the tour just off of the quiet suburb of Franskraal. We watched this animal for a bit before spotting some white water a few hundred meters behind this guy, so we decided to check it out. 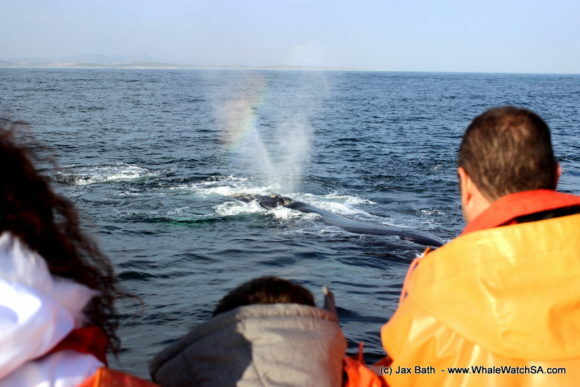 Here, we seemed to have a mating group of whales forming, with one particular animal showing some real interest in what we thought might be a female. 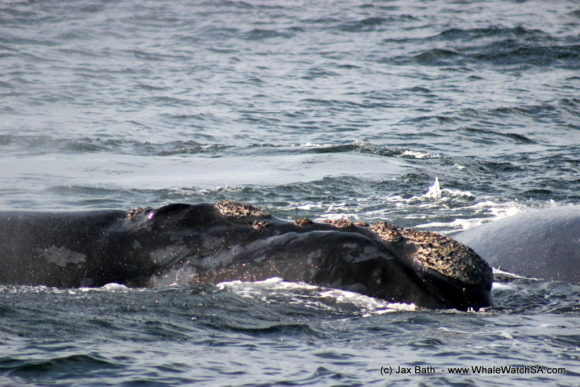 These whales were also quite interested in us, with one of the animals even giving us half a spy hop! 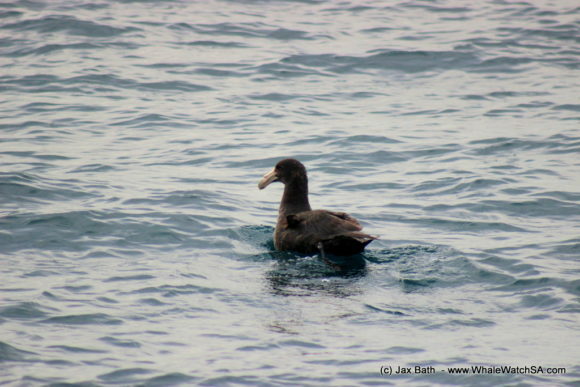 After this fun, we moved on to spend some time around our island systems were we were able to tick off a further two members of the Marine Big 5, sighting the seals and one African Penguin sitting on Dyer Island. On our way back to the harbour, we had one last treat in store. 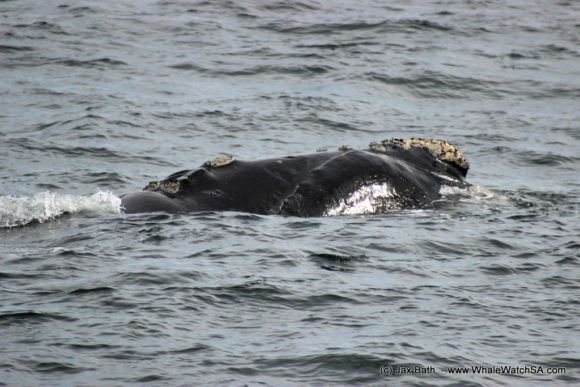 We happened upon yet another group of Southern Right Whales, and these guys began to get really frisky. 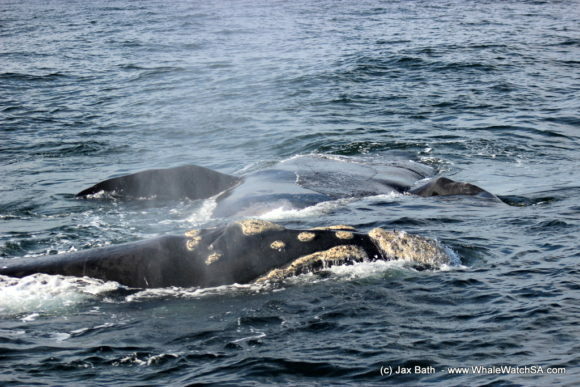 The female lay on her back whilst the male made every attempt to mate with her, which made for a spectacular sighting for all aboard. 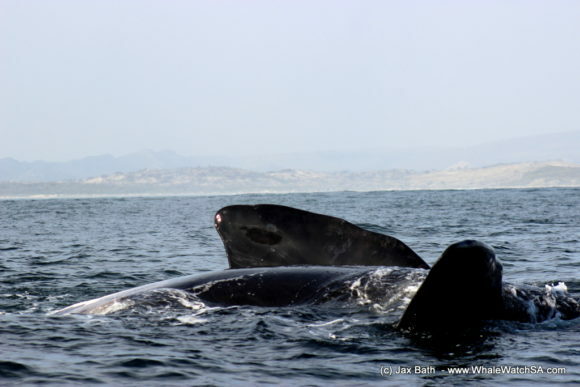 Mating whales tend to only have one thing on their mind, so they seem to be quite oblivious to us as we enjoy the sight of them rolling around. 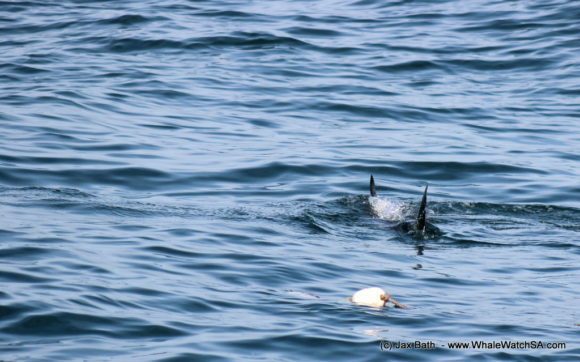 We got to see some flipper action and even the females eye as they carried on. 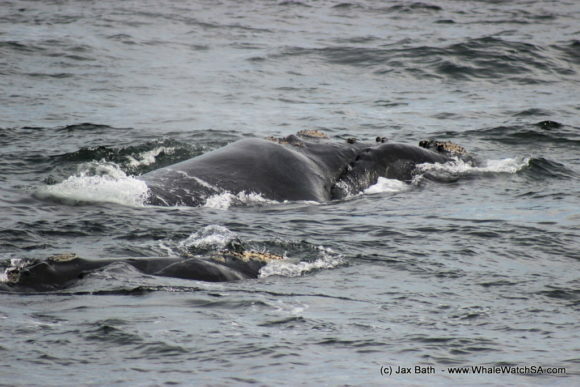 We were also incredibly fortunate for all of this to happen in close proximity to the boat. 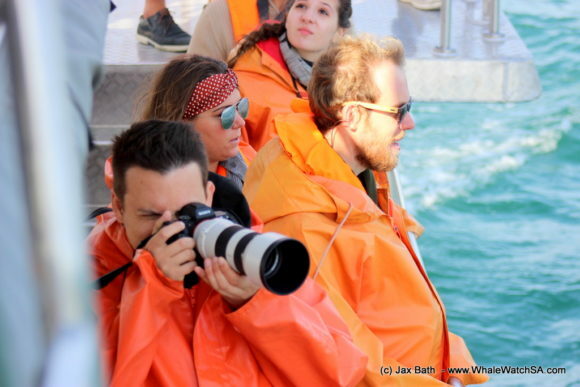 After a while, we let them carry on having some fun, with us returning to port and heading up to the Great White House to check out the photographic spoils of the day.